Gear up for your next event with these Plastic Soup Spoons. They provide a quick, convenient and reliable option for serving meals. 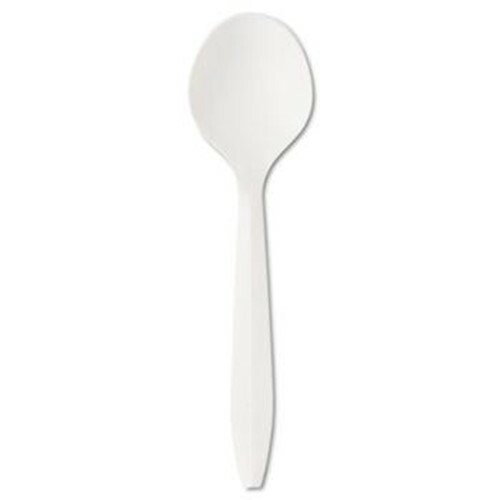 Offered in a 1000-count pack, these Boardwalk spoons are disposable, allowing for easy cleanup. Even better, they come in white so you don't have to worry about them clashing with your party theme. They also make a suitable addition to the rest of your kitchen utensils. Try using these plastic cutlery spoons for other food items besides soup, including baby food, mashed potatoes and more.